Tourism businesses are being invited to tap into one of the North East's greatest natural assets – its starry night skies! Northumberland International Dark Sky Park is Europe's largest designated area of its kind and the North Pennines AONB has more Dark Sky Discovery Sites than anywhere else in the UK. 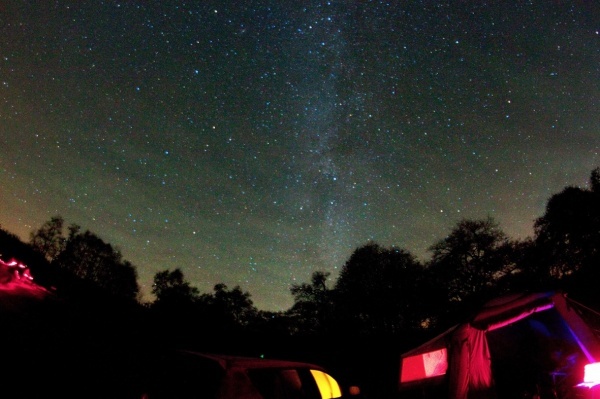 Now more workshops are being staged this Autumn to help bed and breakfast, campsite and self-catering owners, inn and hotel managers, tour guides and anyone working in the visitor economy gear up to provide an unforgettable dark sky experience for customers. "This was a truly inspiring evening. Everything was explained in layman's terms and so interesting." "Excellent, thoroughly enjoyed - eager to further my knowledge." "Like the mix of marketing advice and astronomy for beginners." Get ready for the new stargazing tourism season as the skies darken in autumn with this new range of dates and locations. Places are limited, so book early. ‘Star Tips for Profit’ is part of the Animating Dark Skies project, which has been match funded by Northumberland County Council, Northumberland National Park Authority, Kielder Water & Forest Park Development Trust, the Forestry Commission, Northumbrian Water, Kielder Observatory, the North Pennines AONB Partnership, Durham County Council and Newcastle University together with support from Northumberland Tourism.